If you are looking for Chevrolet trucks for sale near you, such as the Chevrolet Silverado and the Chevy Silverado Z71 for sale, then look no further than Ewald Chevrolet Buick near you in Watertown, Wisconsin. We have a variety of Chevy 4x4 trucks for sale that is sure to give you the power you need to get the job done. Trucks at other car dealerships in Watertown can be expensive. But, with Ewald Chevrolet Buick, finding the truck for sale that you want is a no-brainer. We have great deals on a variety of Chevy trucks for sale. Our low prices will give you the amount you want for the vehicle you need. Why spend hundreds more on a Chevy 4x4 truck for sale at another location when you can come to Ewald Chevrolet Buick? Take the time today to see the great truck deals at Ewald Chevrolet Buick. Our vehicles are the highest quality around. We seek to give you the cars you want. Our variety of trucks give you the selections you need to make the best choice for your next vehicle. 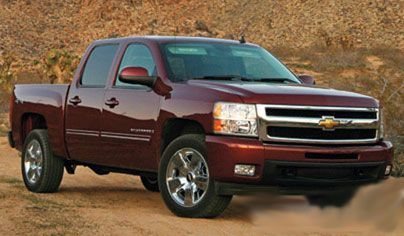 The Chevy Silverado Z71 for sale has the features that improve your driving and vehicle performance. Features like Ranchero shocks and off-road suspension help absorb the power of uneven terrain. Skid plates and all-terrain tires help you navigate any path in any situation. Automatic locking rear differential helps your tires function together as though they are on the same axle. Automatic Locking rear differential helps with unknown terrain and sudden road condition changes. The Chevy Silverado Z71 also has hill descent control to help maintain the vehicle's safety when navigating uneven terrain. These features on the Chevy Silverado Z71 for sale give you the protection you want and need when you take your truck out onto the road less traveled. Come to Ewald Chevrolet Buick today to take a test drive in one of our fun Chevy 4x4 trucks near you in Watertown Wisconsin. Truck shopping should not be stressful. If you find car shopping a strenuous task, then you need to come to Ewald Chevrolet Buick. When you come to Ewald Chevrolet Buick, you will see that the car buying process does not have to be difficult. Our helpful staff will help you find the ideal vehicle for you. If you need space to haul your family as well as their cargo, then a van or an SUV would be right for you. If you want a small town car that has a low environmental impact, then choosing a hybrid vehicle may be the ideal vehicle for you. If you need a car that can haul hundreds of pounds for long distances or a vehicle with the four-wheel drive then, a truck may be the ideal vehicle for you. We have a vast selection of cars that are sure to fit your situation. Stop into Ewald Chevrolet Buick today to find yourself the ideal vehicle for you in Watertown, Wisconsin.